Nikos Xanthoulis is a composer, ancient lyre player and researcher. Dr. Nikos Xanthoulis served as principal trumpet player in the Orchestra of the Greek National Opera for 25 years and as Artistic Director of the Public Broadcasting Orchestras and Choirs (2014-2015). He is also a corresponding member of the Archaeological Institute of America. As a soloist and composer has presented his music in more than 30 countries. He is Assistant Researcher at the Academy of Athens and Artistic Consultant at the Greek National Opera. His four children’s operas have been presented in many Greek theaters. He has written incidental music for tragedies using reconstructed ancient Greek instruments. 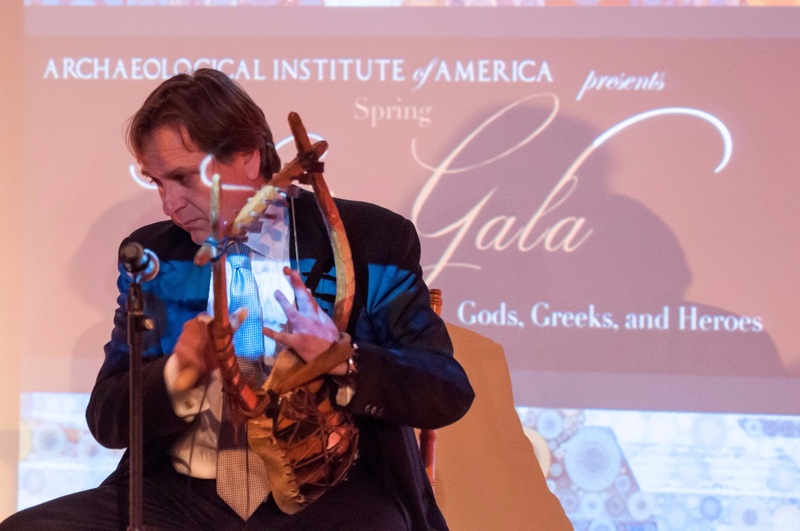 The Archaeological Institute of America awarded him the Kress Lectureship for 2012-2013 and 2017-2018 for his research on Ancient Greek Music.